The Phantom 5 is coming, but when? DJI has announced an event for November 28th and there is a lot of speculation that it will be the Phantom 5. We know that DJI has been working on the Phantom 5 and the release is imminent, but will it happen on November 28th? Possibly, but it is most likely something else. Does this look like a Phantom 5 campaign to you? The Because Life is Big campaign just doesn’t fit the profile of a high-end Phantom 5 drone. Based o what we know and what we have learned by talking to people in the industry, here are the most likely releases from top to bottom. Is this the Osmo Pocket next to the Mavic 2? This is the most likely candidate for release. We know that DJI has been working on a small gimbal. We have seen the pictures. We also know that DJI has filed an FCC license for the Osmo Pocket. We expect this gimbal to be super portable and likely waterproof. Releasing this product right before the holiday season makes a lot of sense and people are much more likely to spend $100-200 on a handheld gimbal for Christmas than $2000 on a new drone. The Phantom 5 is coming, but is it going to be here November 28th? The Phantom 5 and its awesome array of interchangeable lenses is coming. We have seen leaks for months. There are even whispers of people having pre-release units to test. This drone is going to be huge. 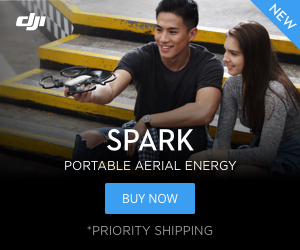 The cartoonish drawing and slogan just do not fit with the prosumer high-end marketing that should go along with what will be the best consumer drone DJI has created to date. DJI is still riding high from the Mavic 2 release and announcing the Phantom 5 now would dimish that quite a bit. I expect them to ride the Mavic 2 release a little longer and release the Phantom 5 early next year. The Spark hasn’t had a major update in quite some time and now it is getting competition from the Hubsan Zino and Xiaomi FiMi A3. DJI would be wise to grab control of the beginner drone market and squash the hopes and dreams of their competitors much like they did when GoPro released the Karma and DJI countered with the Mavic Pro. Giving the Spark 2 a better camera and longer flight time would make it the best beginner drone on the market under $400, hands down. The Phantom R may be DJI’s first ready-to-fly racer. Could DJI release something totally unexpected? We have heard rumblings of an FPV racer. They could release a brushless version of the Tello. Is there a fully-waterproof drone in the works? What about a drone with a 360-degree camera? How about the ultimate selfie drone? No doubt DJI has people investigating these possibilities, but if one of these were going to be released on November 28th it is likely we would have heard something about it already. What is coming November 28th? While we can’t confirm anything for sure, these are the three most likely possibilities based on all the information we have. Could it be something else? Time will tell. 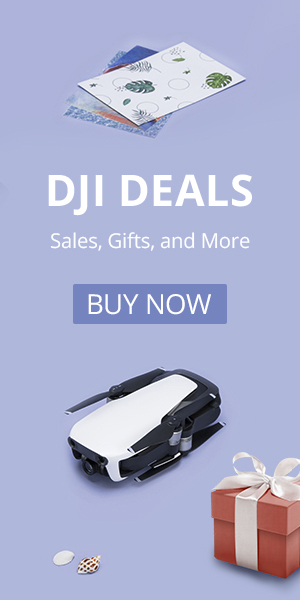 Looking for a drone this Black Friday? We have scoured the internet for the best deals. Click here for exclusive discounts. We can help you find the best drone this Christmas season. What is the best drone to give this holiday season? Click here to learn about the best drones this holiday season. Find your special someone the perfect gift.